Merry Christmas gang. Who would have thought we’d all still be here. Surely the animals, or AI or Trump would have done us in by now. 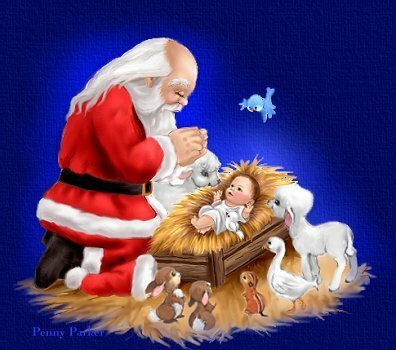 But nope we are still here for another Baby Jesus birthday! Yeah that won’t end well. Special show for you tonight. It’s the Christmas episode. It’s also the 28th and last episode of Season 1. We’ll be back in 2014 with Season 2. But it’s still 2013 so let’s get our Yule Tide on. Wait. Why didn’t he say Happy Holidays!?!? You want on the nice list? Click the link or chose other options below and listen to this podcast, unless of course you hate Figgy Pudding. 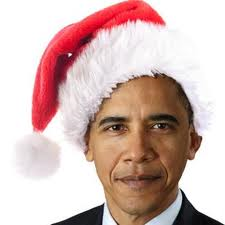 Yes Virginia, there is an Obama-Clause! Or go to iTunes and search Unfiltered Unfettered. Find the UF/UF icon, click, and enjoy every episode from season 1. Fox News’ Megyn Kelly has serious discussion about the whiteness of Santa and Jesus. She comforts the kids by assuring them that Santa is in fact a white man. She takes to the air 3 days later to defend herself from the enormous amount of mockery she’s getting on social media, MSNBC, CNN, etc… No worries folks, she was just kidding. Hey, look at that! They are both white! Don’t mess with Jesus on his birthday! The Catholic Church wins a precedent setting court decision against the Affordable Care Act aka Obamacare. Judge rules they are not bound by the contraception mandate. Church – 1 Obama – 0. Next round is in the appellate court. Is this the next blow to the entire foundation of the law itself. We report, you decide! Wait, he’s not white? I’m confused. My partner dug deep in the well of his talent when he wrote this. By far the smartest and funniest thing you will ever read on Obamacare. He does a dramatic reading tonight on episode 28. If you just want to read it click the link. Your politics won’t matter, you’ll laugh. Trust me man, I’m a scientist. All this and a bunch more on tonight’s special Christmas episode of UNfiltered & UNfettered – The world explained, by us. The War on Christmas…. Who’s winning? I actually started to write a serious piece for this, but 2 sentences in I realized there is absolutely no serious discussion to be had here. I mean how can you have a serious discussion with pictures like this floating around? Santa, you best get that RPG slung properly, quick, fast, and in a hurry! OK, for the plug nickel they are worth, here are my observations as a non-combatant in the Was on Christmas. Why am I a non-combatant? Cause I don’t give two yule tide craps about a trumped up issue that’s being used to separate Americans even more then we already are. On to my observations. Look at that first one. Just awesome. The first picture is from the blog I CAN WRITE FUNNY at blogspot. Except the piece he wrote is serious. He’s mad because people treat him funny when he tells them he doesn’t celebrate Christmas. Damn commie. I mean what does he think, this is a free country or something? Here are three of my favorites. All I did was googlize War on Christmas. Trust me it was hard to pick just three. This last one of Bill O’Reilly is my ultimate favorite. It’s not really a picture. It’s a Christmas card you can actually buy. 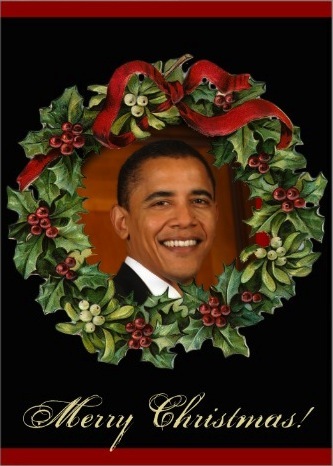 Oh yeah, you ain’t a patriot if you don’t send out these for Christmas. O’Reilly is the Bob Hope of the war of Christmas. He leads off every December with shows about it. He has the most guests on his show throughout December to talk about it, and he is the town cryer when a new combatant joins the fray. Which brings me to the next observation. Is it liberals or just democrats, libertarians, atheists, muslims, who? Who should I be throwing Christmas balls at, or stab with the star from my tree? My good friend Andy is Jewish. He doesn’t celebrate Christmas, is he the enemy? I mean he killed Jesus, that must qualify as an act of war. Well he didn’t kill Jesus personally. I know this because he’s not particularly skilled with tools and hates the sight of blood. But he digs a Menorah this time of year. But Jesus was a Jew too. And of course had Jesus not be killed he never would have rose from the dead and saved us all from eternal damnation. Mind you it’s not a green tree with lights or a fat dude in a red suit, but the empty tomb and folded wrap that was around his body that are the true symbols of Christ and his ministry, started around 3 BC in that little town of Bethlehem so long ago. OK that’s too complicated. Oh well, Chag Sameach Chanukah Andy my friend. Yeah, Andy can’t be the enemy. Know why, he makes a mean Kugel. I think his wife makes it, but he always carried into our end of year holiday party at the base. No one seemed too pissed about that. No way you could be an enemy making a righteous dessert like that. I can and almost did eat my body weight in Kugel one year. Click it if you want to learn about a great holiday dessert. Of course if you get offended at the word holiday, just skip it. You’re not allowed to have Kugel. Now I know O’Reilly knows who the enemy is. I must say of all the newsmen reporting on this, he at least has the opposition on to tell their side. Like the other night when he had the Governor of Rhode Island on. Chris there are some hard truths coming, avert your eyes. The state house in Rhode Island put up a tree this year like they have done every year, but they call it a holiday tree. The Governor was on to defend that. He is independent, which to a conservative means he’s a spineless democrat. So Bill is giving this dirty commie the once over twice, when the dude finally blurts out under duress that he didn’t start calling it the holiday tree, it was the Governor in the 90ies who started that tradition. If there was a way we could search a data base somewhere to find out who the governor was in the late 90ies in Rhode Island. Ah well, maybe in the future. But we’re in luck, I know who it was. Lincoln C. Almond was the governor from 1995 – 2003 and he indeed started the tradition of calling the tree in the state house a holiday tree. So we have one of the enemy leaders ID’d. Now, searching his FBI file we find that… wait… this can’t be right. It says he’s a Republican. How can that be? What about the next dude, a Mr Donald Carcieri. He was governor of Rhode Island from 2003 – 2011. Another good republican. He must have changed it back to Christmas Tree before this commie pig independent went to that socialist term of holiday. And checking the records… and we find that yes, yes, .. no, …no he kept it holiday tree as well. None of this makes a lick of sense. Two, count them, two republican governors called it a holiday tree long before Lincoln Chaffee became governor and yet he’s the one, this independent swine is the one getting all the credit? How can that be? Must be some sort of holiday miracle. Where are these people who get mad when you say Merry Christmas? Really, who are these people. Me and Frank are out a lot and we say Merry Christmas to everybody. We start the first time we’re out after Thanksgiving and don’t stop until December 31st. I have yet to be rebuffed, rebuked, stared at, sneered at, hushed, shushed or anything else. We just get a Merry Christmas in return. So if you run across some of these people who deny you the right to say Merry Christmas, make you stop singing carols, dump your egg nog or what have you, take hold of them and call me. Then I can come give them a good yule tide punch right in the snot locker. You know what this war needs, a good Christmas fight song for our boys in the trenches who are fighting this war to save Christmas. I’ll be Home for Christmas is already taken. Besides the guys fighting the war on Christmas are already home… fighting… for Christmas. Y’all keep fighting the good fight against these people destroying Christmas. I’ll be at church, in town, and then home freely celebrating Christmas. Let me know who won. You know what I was wrong. There is a serious issue here; the ridiculous phrase War on Christmas. It’s an insult to everyone of our men and women fighting and dying for us in a real war in Afghanistan. They’ve been there for a decade and they won’t be home for Christmas. If you must be a hyper-sensitive, weak minded fool, who can’t function without being offended by something, be offended by that. At least you’ll finally be focused on something real.